Uganda is culturally diverse and such indigenous tribes qualify her as a notable destination for authentic Africa Safari tours. The Batwa People have remarkable history of unique art and way of life that dates far back to the prehistoric era. Apparently thriving to the South west of the country, their settlement history is very rich and the symbols of art indicate that they at one time occupied a greater part of East Africa. The series of rock paintings including Nyero in Kumi to the East of Uganda and Dolwe Islands in Lake Victoria act as evidence of their historic settlements. Such historical art is still at the center of the Uganda Safari products. After the influx of the Bantu tribal groups, the Batwa were pushed into the forests and started to live a hunter gather culture until they were evicted to pave way for conservation of endangered species including the Mountain Gorillas which are highly sought after by travelers on gorilla safaris in Uganda. Now, they thrive on the boundaries of Bwindi Impenetrable National Park, Mgahinga Gorilla National Park, Semuliki National Park and Echuya forest reserve all in South Western Uganda. It can be noted that their integration with the community has taken long since they were totally green in a range of normal life aspects including agriculture. 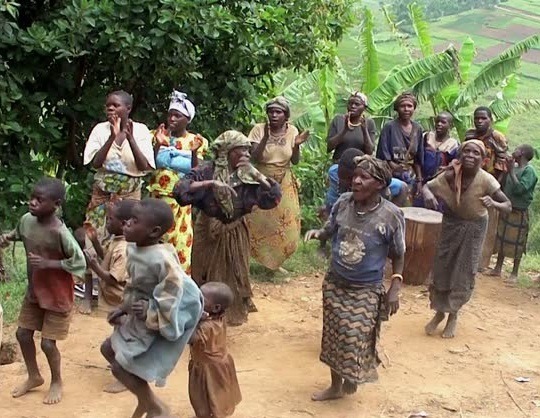 As a result, the Batwa have since lived a vulnerable life and a range of local and International relief Organizations have always come in for support in terms of food, medication, water, clothing and shelter. The travelers on Safaris in Uganda also visit them and the payments made help to make their ends meet. The Batwa used to survive on forests for food, medical care and shelter. And as part of Collaborative management, the Uganda Wildlife Authority established the Batwa Heritage trail in Mgahinga Gorilla National Park where the world travelers interested in the heritage of the Batwa can undertake under the guidance of the Batwa themselves. The percentage of this money is put together to buy land where the Batwa can be resettled permanently.